The Outstanding Aboriginal Educator of the Year Award is for a teacher, advocate and professional; who has made significant efforts in furthering First Nations, Métis and Inuit Education in Alberta. This person cares deeply about the success of Aboriginal students, and has demonstrated leadership, and authentic inclusion of Aboriginal voice and presence in Education. The 2018 recipient of the Outstanding Aboriginal Educator of the Year is Jolene Gray. Jolene is a proud Cree women and dedicated Cree teacher at Prince Charles School, with Edmonton Public Schools. She is passionate about her culture and eager to share it with her students so they grow with knowledge, self-esteem, dignity, and respect. Jolene Gray completed her Master of Education Degree in Indigenous Peoples' Education with a concentration in Leading Educational Change, Contemporary Issues in Education, and Leadership/Stewardship. She is using what she has learned to advocate for Indigenous people and to make inroads for Indigenous education. In the past Jolene has served on the First Nations, Metis, and Inuit Education Council. More recently, Jolene was the voice of Indigenous Peoples at the locals's ARA meeting, where she stressed the important of colleagues supporting one another by hiring a second ATA PD staff officer in preparation for the new Teacher Quality Standard. She raises colleagues' consciousness and makes them think about the importance of Reconciliation in moving forward. The Outstanding Aboriginal Educator Award will be awarded annually to acknowledge the importance of Aboriginal Teachers and Culture in Alberta. 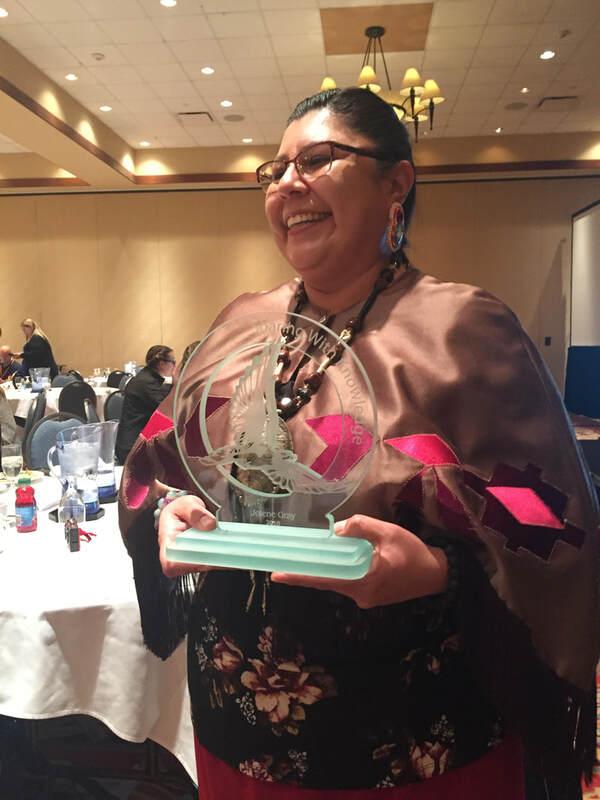 The winner of the Alberta Award will be nominated as the Alberta Candidate for the Canadian Teacher’s Federations Outstanding Aboriginal Educator Award. Click HERE to nominate someone for this prestigious award.